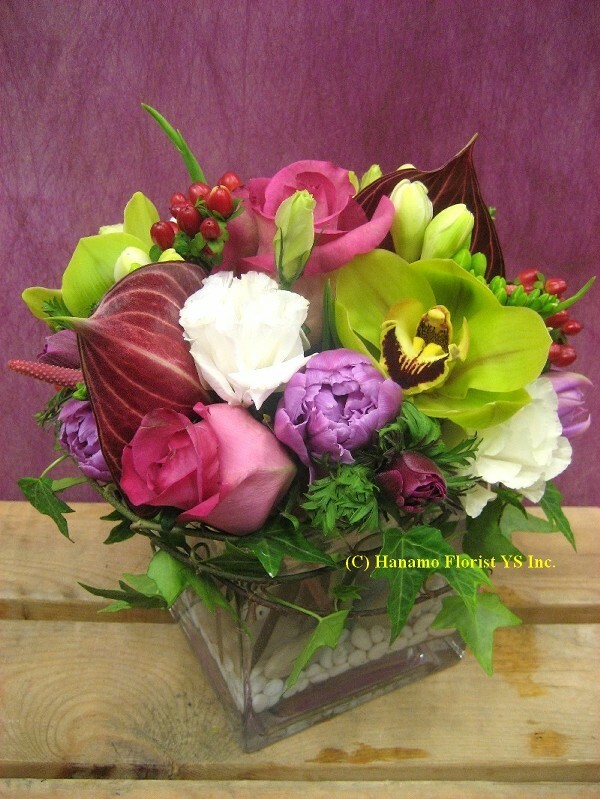 CUBE020 Colourful & Elegant Arreangement in 5Cube [CUBE020] - $75.00 : Hanamo Florist Online Store, Vancouver, BC, Canada, Quality arrangements using a plethora of the freshest flowers. Arrangement in 5 inch Cube Vase, No Carnation, No Spray Mums. 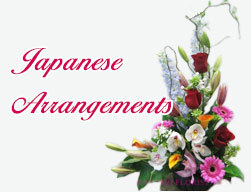 Flowers and colors may be different from the sample picture, however over all color theme will be the same..